I don't know anyone who doesn't want to get paid more money. Making more money can help improve your finances in a number of ways as long as you're able to manage your money properly. However, many people, your boss is not just going to call you up one day and tell you they're giving you a pay raise. It's not that easy but it is possible to receive a raise at your traditional job or your work from home job. When I landed my first job right out of college, I was pleased to earn a 10% raise and a promotion after just 6 months. If you're looking to secure a raise as well, you have to take action but it's not that difficult either. These steps will help you determine your value within your company and how to communicate it to your boss so you can secure a much-needed pay raise. If you want advancement opportunities and the option of receiving a raise, you need to make sure you're working at a job that can afford to pay you more money and your position in the company provides room for growth. Otherwise, it will be very hard to earn more money. Whether you work at an office job, hospital, or as a virtual employee, you want to ask about advancement opportunities or annual reviews during your interview or even pull your current boss aside. This is important because many people are only interested in landing a job and the starting pay and pay little attention to whether or not they will receive raises in the future. Unfortunately, some companies cannot afford to scale up and offer their employees raises. I have seen this in my industry where writers are often underpaid for their work and undervalued. Once you know that your employer is willing to offer raises and promotions, you'll need to start proving your worth. Make yourself irreplaceable within the company and optimize your role and the results you are able to generate. Have you have had that one employee who was greatly missed whenever he or she wasn't at work? Try your best to become that employee yourself and make it a habit of going above and beyond the requirements of the job. This doesn't mean you should do other people's work or do certain tasks for free, but you can take pride in the work you're assigned and produce high-quality results for your employer. That way, they know they can trust you to do an exceptional job and will start to depend on you. If you want to earn a raise and be paid more than others, you need to do your work better than everyone else. By all means, be a team player, but also be highly dependable and efficient with everything you do. This will make you stand out from others who are a hassle to work with and it will secure your position for a long time. For example, if someone else you work with is known to gloss over important details, make sure you stop and play close attention to the details. Basically, do your job as best as you can. If you make mistakes, take responsibility and offer to fix them. Avoid workplace drama and complaining around others. Nobody likes this even if they pretend to empathize with you. While you are working hard and excelling over your coworkers, be sure to track and document your performance and accomplishments at work. Making a portfolio of tasks completed and ways that you’ve benefited the company through your performance is a great way to leverage a raise. I even used to save positive emails and compliments about my work from team members and clients when I worked for an employer. Next, you want to do some research so you can determine how much you can earn. While most people want to ask for a raise, many don't know how much more they wish to be earnings. If your employer offers you more money, that's great. But if you haven't done the necessary research to find out what the compensation is currently at for your position, you could be getting shortchanged. You can go to sites like Glassdoor and Payscale to compare pay rates for your specific job title. Be mindful that the area you live/work in may also affect the salary you see since some areas have a lower cost of living than others. Many employers have an annual review where you sit down with management and discuss your progress and role in the company. The annual review is a perfect time to ask for a raise or promotion. If your employer doesn't have an annual review, reach out and see if you can establish a meeting with them to discuss your position. Sources reveal that the reason why most people don't ever get raises is because they never ask for one. By not asking for a raise, you could lose out on hundreds of thousands of dollars in income over the course of your career. I know it might seem awkward to ask, but if you don't and your employer doesn't bring it up, you could miss out on a lot of money. Be sure to ask your boss where they think you are headed in the company and express your interest in any advanced positions if they apply. This would also be a perfect time to use your portfolio of work as an example of your performance and to discuss your assets so your boss understands that you are here to stay and the value you bring to the company is irreplaceable. If your boss grants your request for a raise and you don't feel like it's good enough, feel free to counter it and negotiate. If you've done your research on the compensation for your position, you can bring that with you to defend your offer. To worry about making your boss feel uneasy. If you've done the hard work and are a valuable asset to the team, they should be more patient with the process and willing to pay you more. When it comes to securing the raise you need and deserve, stay persistent and realize that there's nothing wrong with wanting more money especially if you've earned it. 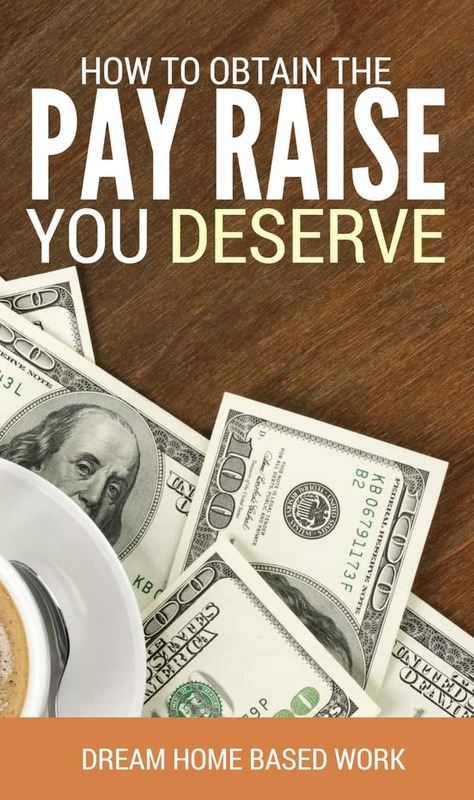 Have you ever asked for a raise? Why or why not?